This HID Headlight and Foglight Combo Kit from Last Call Racing is a fantastic deal for those of you looking to make a huge difference to your 2005 to 2009 Mustang. Say goodbye to those yellowing and dimming stock headlights, and while at it, get a matching pair for your foglights. These Last Call Racing HID Conversion Combo Kits are the best visual appearance modification, hands down. Included with our headlight conversion kits are everything you need to get the job done. The foglight HID conversion kit is nearly identical, only real difference being the slightly different foglight bulbs. 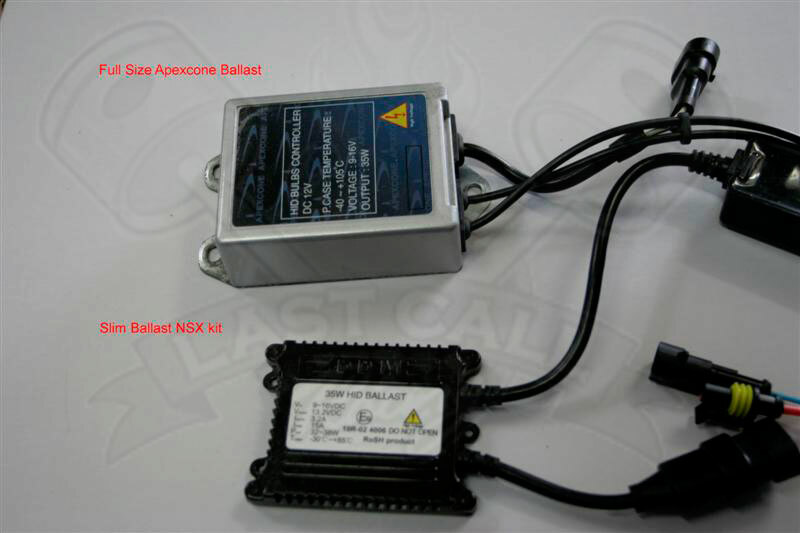 Our HID Conversion Kits are simply the best around when compared to the other kits on the market. 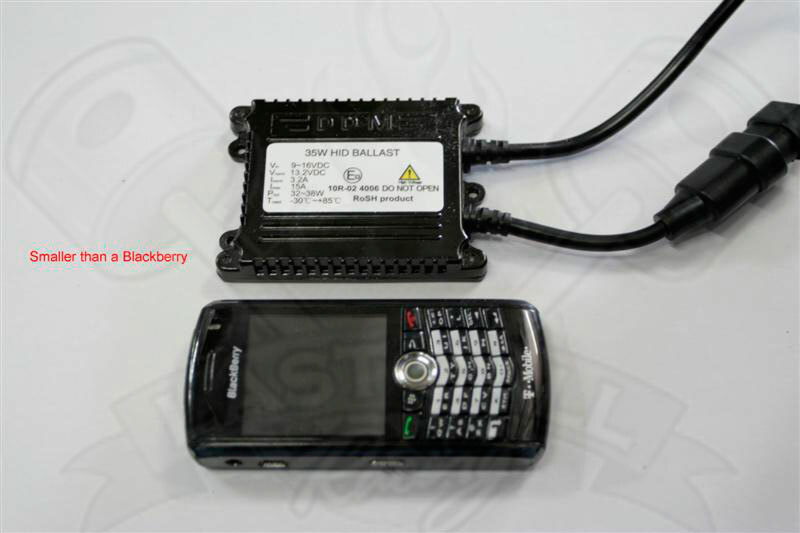 Our ballast is smaller than what you'd get from most, not to mention fully digital,and it's even smaller than a cellphone. Best yet, Last Call Racing offers this kit to you for $50-$100 less than anybody else, include a lifetime warranty, and we ship it to your door for free.